While risk-taking is a hot topic in the museum field, is it really a path to museum success? 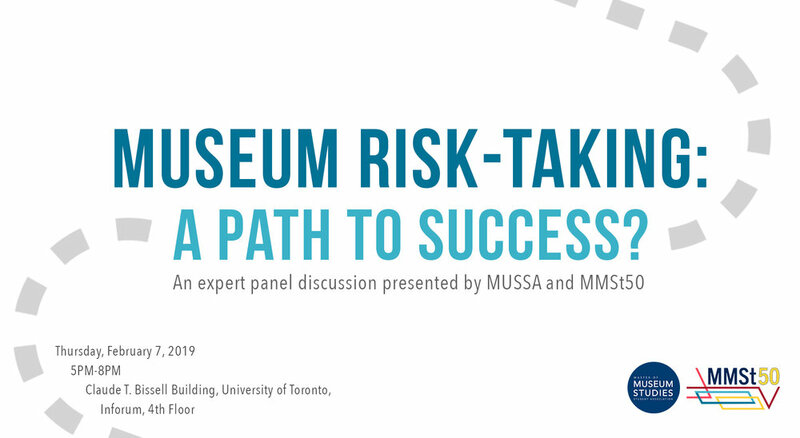 This panel brings together museum professionals from different fields with risk-taking experience in everything from exhibition design to programming. They will discuss how they balance innovation and risk, break away from museum conventions, and shift institutional paradigms. The panelists will highlight the challenges and failures they faced along the way and what they have learned from being audacious in the museum field. Finally, they will share their thoughts on the idea of a “path to success”. Karen Carter is the Executive Director of the Myseum of Toronto, which offers an innovative approach to the museum experience and a new way to experience Toronto’s natural spaces, cultures, history, archaeology and architecture. She has over 20 years experience working and volunteering in a variety of cultural and educational settings in Toronto. She is the co-founder and Chair of Black Artists’ Networks Dialogue (BAND), an organisation dedicated to the promotion of Black arts and culture in Canada and abroad. 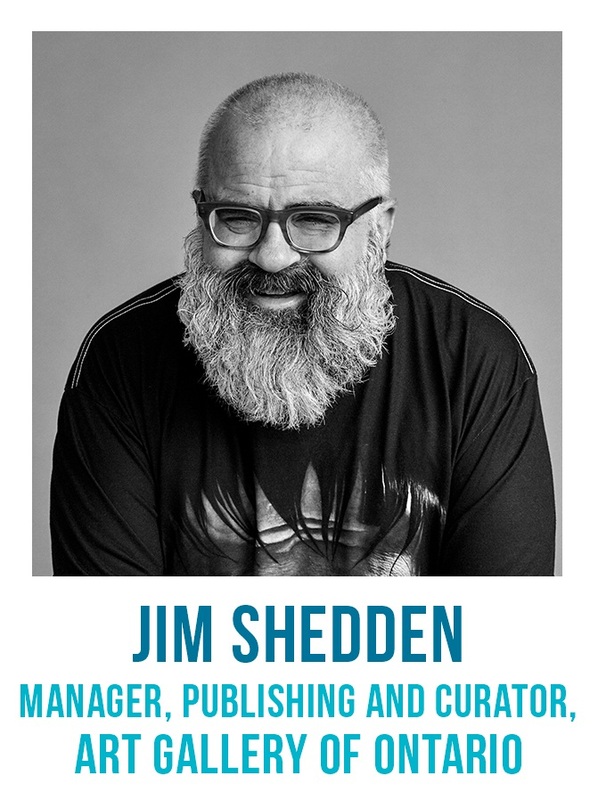 Jim Shedden is the Manager of Publishing at the Art Gallery of Ontario, where he also occasionally curates film-related exhibitions. In the 1990s, Shedden worked at the AGO as a film curator and performing arts programmer, before leaving for a 12 year stint at Bruce Mau Design. Shedden, who directed films on Michael Snow and Stan Brakhage, recently completed a feature documentary, I Drink (co-directed by Peter McAuley). He has written extensively on music, film, video, art, and design. Shedden has been involved in the artist-run scene in Toronto since the late 1980s. Kathleen Brown, COO of Lord Cultural Resources, has 30-plus years of experience as a respected consultant with proven management skills. Her work leaves clients and others in the field inspired and informed for their organizations’ future. Kathleen’s work has included both staff and consulting positions with cultural attractions, community organizations, government and academia. Shaniqua Liston has been working with Kingston Pen Tours in partnership with the St. Lawrence Parks Commission, the City of Kingston and the Correctional Service of Canada since the tours debuted in 2015. As Operations Coordinator, she learned about all the "behind-the-scenes action" needed to maintain the functionality and popularity of the Pen. She also became aware of the limitations, both physical and operational, as she worked to offer customers a genuine and authentic experience. The panel will be facilitated by MMSt50 Committee Chair Melissa Smith, who is also Co-ordinator of the Gallery Guide, Adult Education Officer, and Access to Art programs at the Art Gallery of Ontario. The panel will be followed by a networking cocktail with snacks and a cash bar. This event is free and open to the general public. Please register on Eventbrite as spaces are limited.